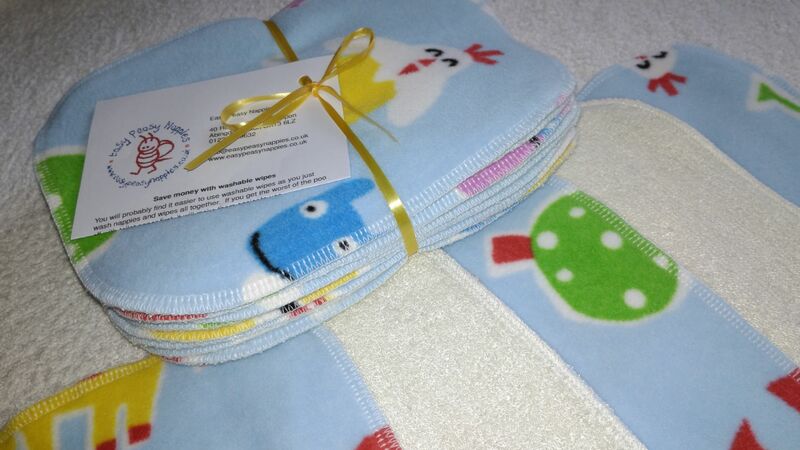 A pack of 10 fleece and bamboo towelling wipes. 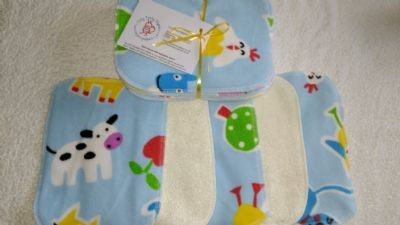 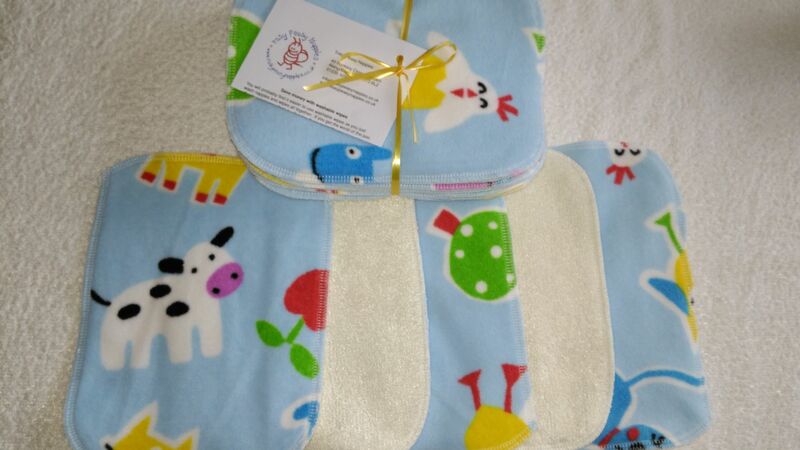 Made from one layer beautiful soft bamboo towelling backed with fleece in a lovely blue farmyard design. 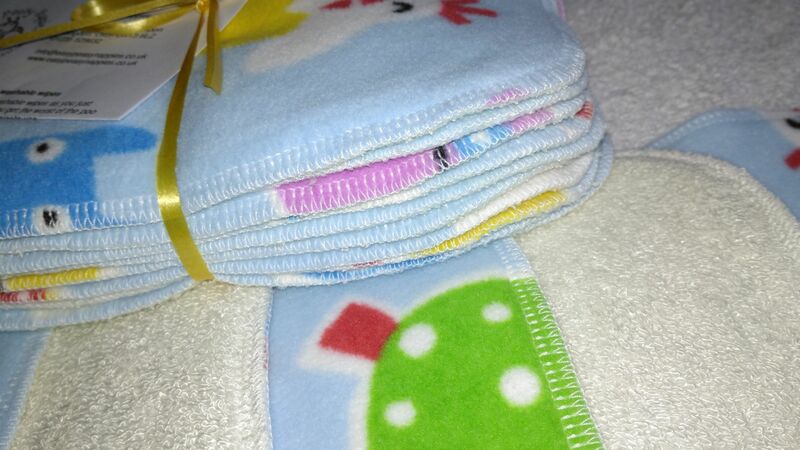 The pack includes a useful advice sheet on using washable wipes. 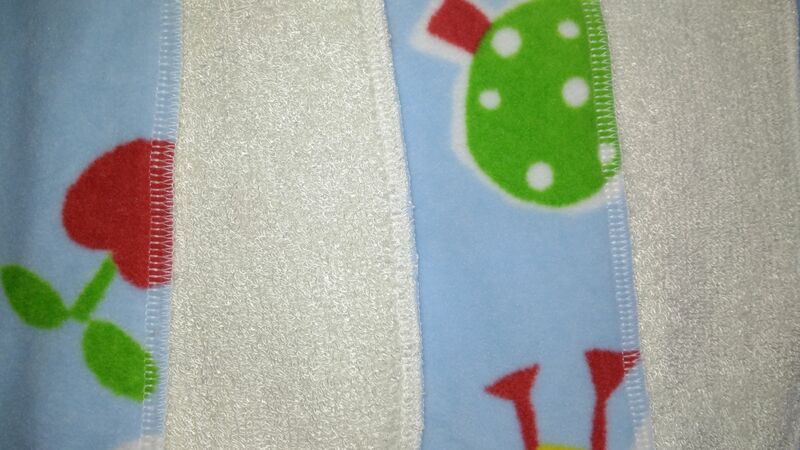 These wipes save you a fortune compared to throw away wipes.